By far one of the most enjoyable and rewarding things about being active in a scene and on social media is the social aspect. Some friends, by virtue of distance or circumstance remain ‘virtual’ until such time that you find yourself at the same event. Claire Mahoney, journalist, broadcaster & Mod is one of those friends. Being a writing ‘enthusiast’, Claire (as the professional) is an inspiration to me. In fact, if you’re in the Mod or Scooter scene yourself and haven’t heard of Claire, then shame on you! 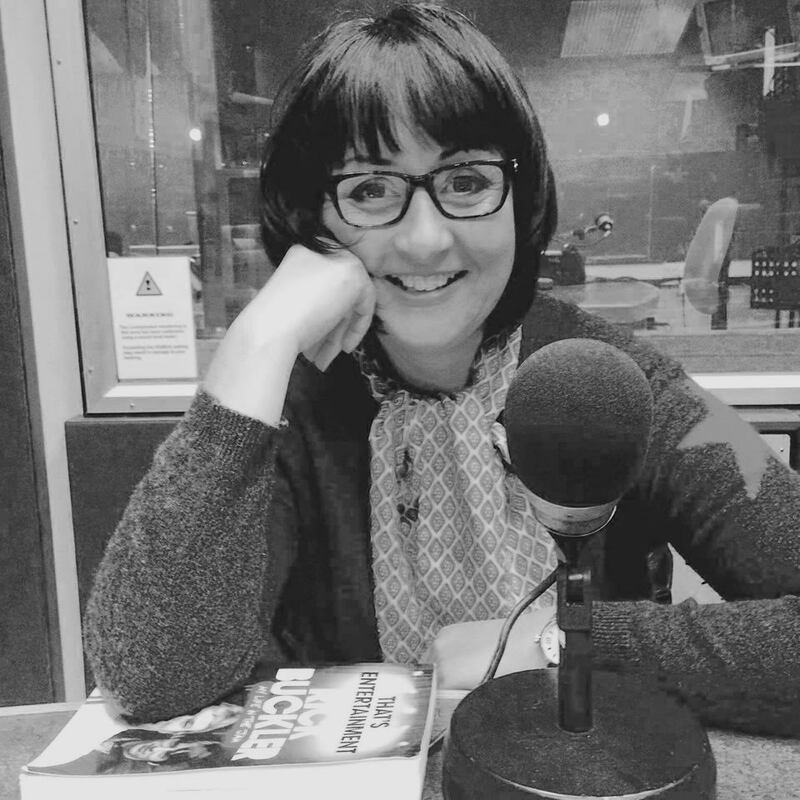 Claire isn’t just an active member of the Mod scene, as a journalist and broadcaster she is an influential promoter of the scene. An obvious choice for The Mod Closet’s Icons & Influencers series, I was absolutely delighted when Claire agreed to put virtual pen to paper and tell us a bit about herself. Claire also gave us a sneak peak into her Mod Closet to show us her favourite outfit, which you can see here! I was born and live in Wales, although I have also lived in London and Liverpool during my career as a journalist. Thirteen years ago I went freelance and in 2008 I set up a limited company in Cardiff with my business partner who is a graphic designer. I’ve written for and edited magazines on a pretty broad range of subjects including beauty, health and parenting. But in terms of the mod scene, I write a regular section for NUTsmag, the online magazine for the New Untouchables (promoters of Mod & 60s culture world-wide through events, magazine & website) on women’s fashion and I am a regular on BBC Radio Wales on the Alan Thompson show on anything mod and 60s-related. I first got into the scene aged around 13. I can’t really remember why or how, as I was the only mod in my school and my best friend was the only punk. It was probably the music though and I was a huge Secret Affair fan at the time. I played the album Glory Boys until I wore it out. Then I discovered The Jam and that was it – a love affair that has lasted a lifetime. It’s been hugely important to me and has introduced me to so many opportunities and people in my life that I’ll be eternally grateful for. Then there’s the music – there’s always so much to discover. That’s very difficult to answer. I don’t really know whether I have a personal style as it changes depending on how I feel. But I am massively influenced by Quant. Both in her looks and her approach to life. I like quite a simple look really and am happiest in a pair of capri pants and a Breton top – with a really nice pair of shoes of course. Like a lot of people, I do most of my shopping online now. One of my favourite brands is Boden but, I also to like visit vintage fairs in Cardiff, plus we have some great vintage shops here such as Penny Lane Vintage, if you are looking for something different. Bristol is great too for shopping. I’m always scrimping and looking for a bargain. Shoes and coats – you can transform your entire being with either. HINT: Click on Lou Lou’s icon to go to their Cardiff Vintage Fair Facebook page. During the course of your career as a journalist and writer you’ve had the opportunity to meet and interview some incredible people – who’s the elusive person that you would feel disappointed to get to the end of your career and have never met/interviewed? It would have to be Paul Weller. I have met him briefly, but as fan really and not in a professional capacity. I know he is a tough character to interview and I have always wondered whether I could win him round. The Jam were everything to me growing up and I would love to talk to him about that period. Sadly he doesn’t seem to want to talk about it anymore and wants to concentrate on the here and now. So it probably wouldn’t be the greatest interview – unless he decided to re-form The Jam – now that would be a good story! 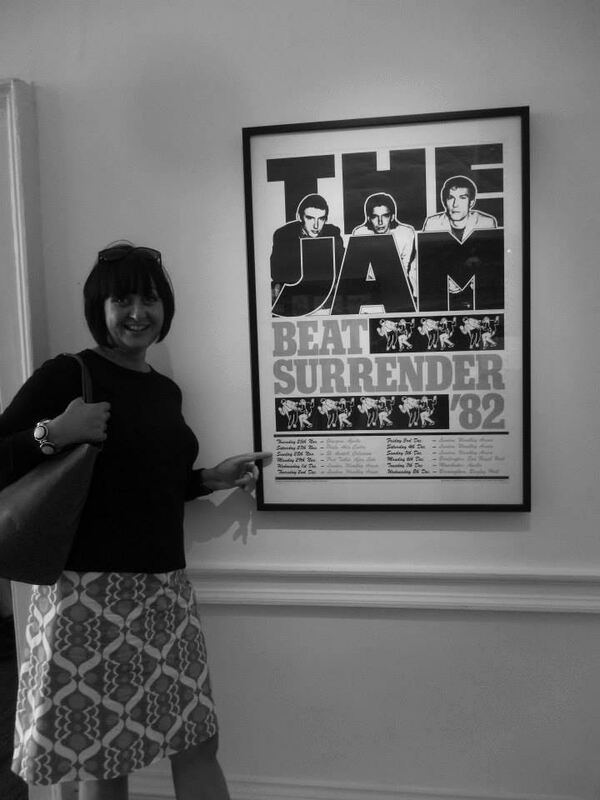 I’ve been very lucky to have met and interviewed some very famous people some of whom are connected to the mod scene. I’d never thought I’d get to speak to Kenney Jones of the Small Faces and Rick Buckler of The Jam which I did this year. It was a real reward to be able to sit across a table from Rick and tell him what The Jam meant to me. I love my job actually and I’ve never really wanted to do anything else. I’d like to be an interior designer or perhaps a gardener but if I could have my time again I would like to work in advertising. It’s a world that fascinates me and I love the adverts from the 50s and 60s – they had a real flair. Of course, the company I worked for would have to look like something of the set of Mad Men. Would you enjoy a life in the limelight? No I would hate it! What I love is meeting and interviewing people and telling their story and then writing about it in such a way that other people will learn something or be inspired in some way. Famous people must have a horrible time of it. At least if you are not in the public eye you can escape when you want to. However, I do like making an effort to dress up and I love it when people comment on what I’m wearing and show appreciation. I wish more people in Britain would care about what they wore. I sound old now – but when I was growing up my mum and grandmother would always dress smartly to go ‘into town’ or out any where in fact, and I think it’s a shame that, unlike France and Italy, we have leaned towards the American way of wearing jeans and trainers all the time. Just enjoy it really and don’t get too caught up in how you should look. Wear things your own way. It’s not about a uniform it much more than that. Simply wearing the clothes doesn’t make you a mod. 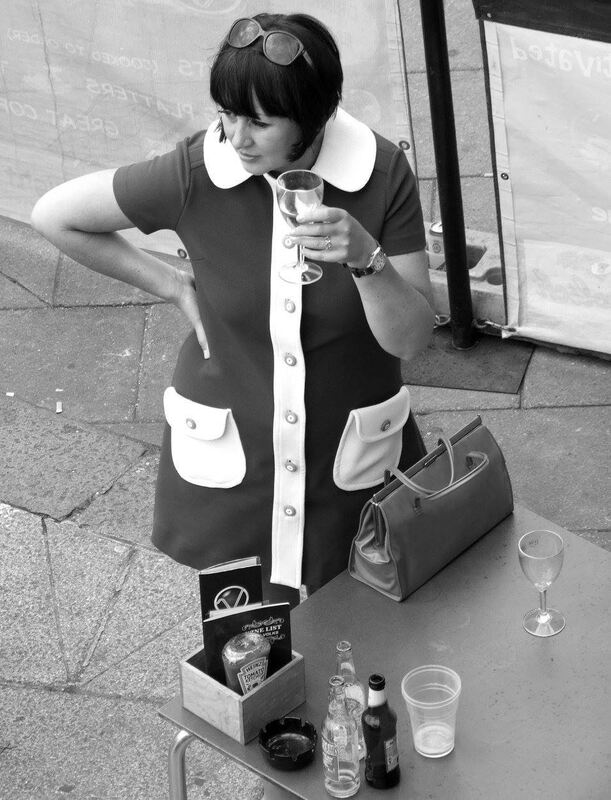 I’m more excited by people who have developed their own individual style with a ‘nod to mod’ rather than feeling that they have to wear vintage or certain mod heritage labels. Also, lets take the music and movement forward. It’s about looking back of course but there are so many great new bands and new music out there to listen to. It is vital that the new generation support them. That’s what will really keep this scene alive. And finally, what’s next for Claire Mahoney? A cup of coffee probably! No, there are lots of projects on the back burner at the moment, which I hope will come to fruition. The most interesting and challenging for me lately has been working on a promo for a documentary on Welsh mod which we hope to get commissioned in the coming year. The scene in London, Scotland and Ireland and even Japan have been well-documented and I thought it was about time we told our story. Plus the sight of a line of scooters coming over the Brecon Beacons roads is something to behold! And finally… click on the picture below to go to our Lookbook section and take a sneak peak into Claire’s Mod Closet to see her favourite outfit!